Last Wednesday, we issued our 50,000 followers on Twitter with a challenge: to tweet us with the best literary fact they know. The reason for this was simple: since last December, the modestly sized research team here at Interesting Literature has been tweeting (as @InterestingLit) little facts, quotations, and links based on all aspects of literature, but one of the joys of literature is that as well as being a solitary experience (reading, writing) it can also be a social and communal interest (blogging, tweeting, discussing). And everyone who is interested in literature knows far more interesting things about it than they probably even realise themselves, so we saw this challenge as a chance for our followers to show us what they’ve got. They didn’t disappoint. So there we have it! Thanks to everyone on Twitter and Facebook who contributed. But this is, of course, a continuous enterprise and endeavour, so we’d be delighted to read your additional nuggets, factoids, and literary gems in the comments section below. Don’t worry if you’re not sure whether the fact you’ve heard or read is actually true or not; we’ll go away and try our best to verify it if we’re unsure ourselves. If we get enough, we’ll even do a follow-up blog post! Oh, and while you’re thinking, here’s a picture of the honorary Interesting Literature cat (right). Great post from Interesting Literature. Thanks for the reblog, Rosie! A great list — and a tip of my hat to the cat. I wish I could remember them all but I can’t even remember jokes! Interesting facts from Interesting Literature! Who knew, William Faulkner’s initial title for The Sound and the Fury was going to be Twilight?!? My understanding is that Florence Balcombe turned down Oscar Wilde because he was thought to be unreliable, and she married Bram Stoker instead because he had a steady and well-paying civil service job. She and Stoker had known each other since childhood. After they married and moved to London, they were neighbors with Dante Gabriel Rossetti and the painter Whistler. Super – I had no idea that Stoker and Balcombe were neighbours of Rossetti or Whistler! Thanks for this. It’s been noted and filed away with the Interesting Literature gems. Great! :) I think I first came across this information in the book In Search of Dracula, a scholarly work IIRC. I’ve read in several materials that Oscar Wilde was gay. It’s pretty well established that Wilde had homosexual relationships and was closeted at least in some measure, of course, due to the social climate he lived in. Whether he ever considered any heterosexual ones or considered himself bisexual, I don’t know. He is usually considered gay. The idea of his courting Florence Balcombe is a funny one, I think, but maybe it happened. The idea of her turning him down — particularly if she didn’t know about his orientation — is really funny. Awesome. Loved reading all the facts. But can’t agree with the statement – “All the books you’ve ever read in English are a combination of just 26 letters.” What about the characters like comma, question mark etc ? Some amazing and very interesting facts about the literary greats. The cat just adds to the intense joy this blog brings. Is he technically yours then? Are you a cat owner? What’s this lovely tabby’s name (or does kitty prefer to remain anonymous)? Would love to see a post about the relationships between authors and their feline companions. We’re not sure, as she’s merely a visitor to the Castle of Literature (i.e., the flat). We’re pretty sure she’s a she though! Thanks for the reblog, Georgina! You’re welcome. Your blog presents the best ideas ever. Good luck. What interesting facts. I will try and remember some of them. Cheers, Guy! There are some real gems in there. Thanks very much for the reblog! It’s completely amazing how we live in this world where we can instantly find awesome things like this! Thank you for filling my quota of intelligence for the day! You’re welcome – and thanks so much for commenting! Thank you for this. Can’t stop smiling at some of these! Thanks, and I’m pleased you enjoyed the facts! Love it. I didn’t know many, many of these. I’m having a wonderful lunch time reading. Thanks. Your honorary Interesting Literature cat has the look of disdain in it’s eyes that a cat gets when it knows it is being used, yet again, to shamelessly draw in the cat fanatics. Seems to have worked in my case, so well done ! I know, no wonder I haven’t seen the cat much since I posted her picture up here – first, she isn’t even mine, and then I go and commandeer her picture for a blog post! I hope she’ll forgive me. 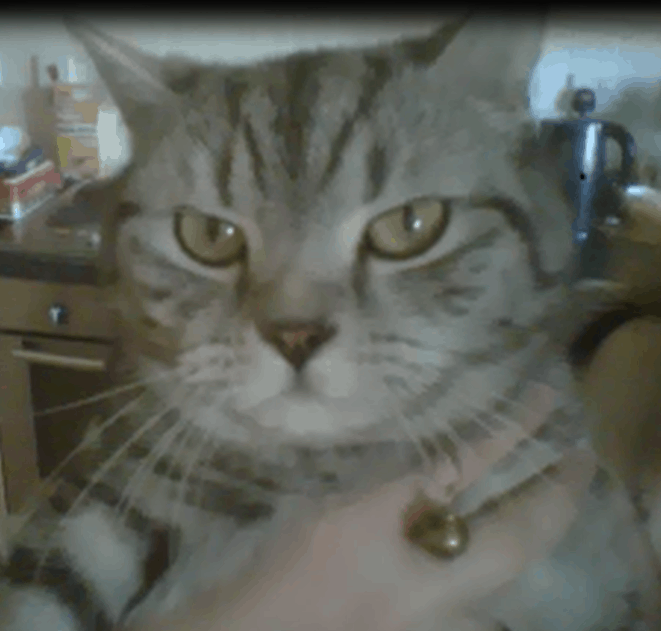 It’s not every moggy that gets to be the feline face of a blog! Glad it helped to lure you here, and I hope you’ll pull up a chair at the virtual library some time! Great post, and such an intriguing list! I’m excited you’ve included my Swinburne/Eliot suggestion; I find Swinburne’s attitude hilariously petty. I also thought of another one: the Victorian fantasy writer George MacDonald acted as a go-between for John Ruskin and Rose LaTouche (I think he saw Ruskin as some sort of chivalrous knight etc). I really enjoyed this list. Having recently discovered this site via Twitter, I am enjoying getting caught up with some of the great content you guys have here. Just wonderful. Thank you.